Please note that the lists below are largely based on directories for 1913, 1924, 1938 and 1951, Goad plans for 1968, 1972, 1976, 1980, 1986, 1998, 2006 and 2012 and later personal surveys, and consequently are incomplete. The home and dental surgery of Mr. Allen from the late 1940s, and his successor Mr. Turtle. demolished in the 1970s and redeveloped. Two-storey 17th century timber-framed building, refaced in the 18th century with a red brick ground floor and tile-hung first floor. The building is shown as Furnace Cottage on the Tithe Map. 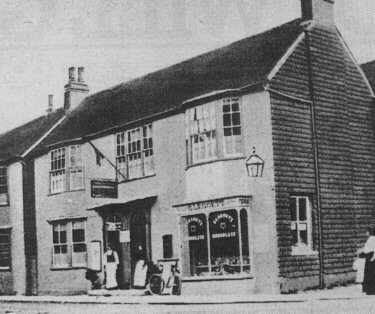 The Rising Sun Inn, before the building was divided into two. Then from the early 20th-century the building on the left became Mr. Conlan's preparatory school, North House School. The building on the right was the home of Dr. Timothy Martin before the Northgate Café - later known as the Northgate Restaurant - opened about 1896. By 1905 it was run by G. Leggett. Closing in 1962, the site was used as a car park before Northgate House opened in 1983. John Penfold saw the need for a large building for concerts and other social functions and was responsible for the Victoria Hall, which was built in 1920. By the late 1940s it became the premises of Bell Precision Engineering. 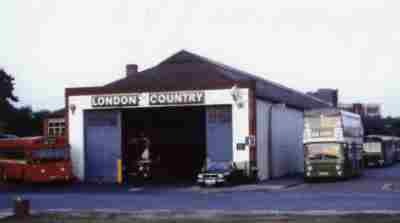 The bus garage was built in the 1930s and demolished in 1985. Built in the 1930s and demolished in 1985. 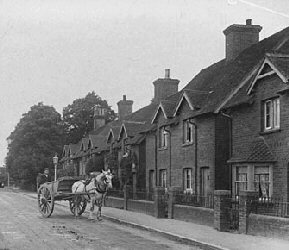 Albert Cottages were built during the early 1870s. They replaced two rows of 14 small cottages called the Magazine - perhaps because they were used around the time of the Napoleonic wars to store arms and ammunition. 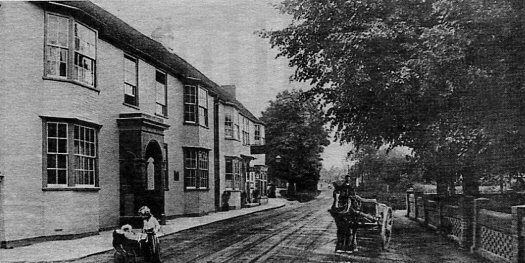 Albert Cottages were demolished in 1983 to be replaced by offices. 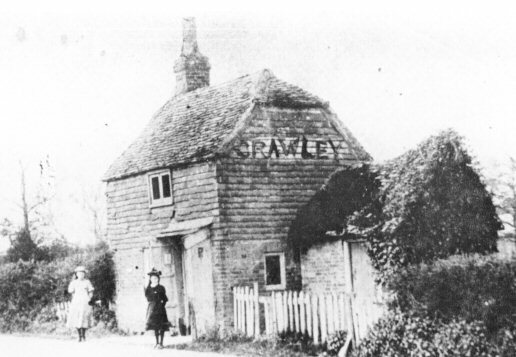 The road through Crawley was turnpiked in 1770 and the toll gate and cottage probably dated from that time. The cottage stood on common land with a pond next to it for watering horses. The gate, which gave it's name to Northgate, spanned the turnpike road from where Brewers used to be. The toll gate was removed about 1870 and Mrs. Agate was it's last attendant. The northern end of the High Street has been extensively re-developed. Converted to residential flats in 2018. Crawley Leisure Park is built on the former site of Crawley Town Football Club, the Sun Inn and Popes Mead Bowling Club. It opened in phases from January 1999, and includes a cinema, fitness centre and restaurants.